Putting up a perfect nursery before a baby arrives can be a little bit stressful, particularly if you lack experience in design. Whilst it can be an exciting time the task at hand can be overwhelming as you want to create the perfect space for the new arrival. 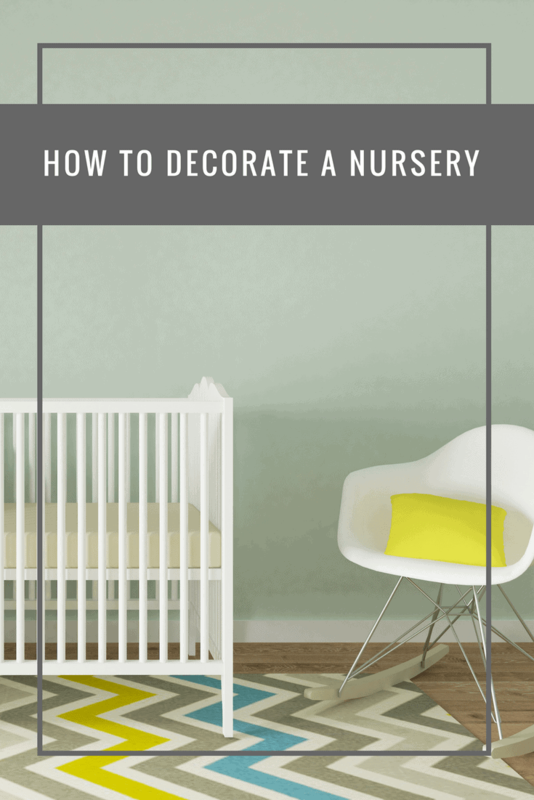 The following tips can help put you on the right track when it comes to decorating a nursery. When it comes to adding a theme or colour scheme to the nursery, there are several routes you can choose from. Painting the walls a neutral colour and adding accessories in the colours of your theme. Why not add a children’s wall mural to one wall for that instant impact and pop of design. Framing printed fabric swatches, quotes or wallpaper samples is another way you can add personality to the room. When it comes to selecting nursery furniture, thinking of the long-term is key here as it likely that either baby or a future sibling will use this for at least the next four years. A white chair that looks sweet now will be stained in a few years, so for the baby room’s décor, you will need a chair that will be easy to wipe, and/or has a cover to replace or one that can hide some stains. For nursery décor, you have to make sure that the lighting mimics night time any time of the day. That means that you can use a heavy dark curtain, to fake the dark when it’s time for the baby to take a nap during the daytime. You don’t have to make the nursery a dungeon, but just fake it to ensure that the baby knows darkness means bedtime. Finding the right nightlight might prove difficult depending on your theme and colour scheme. You can go with the option of buying nightlight bulbs at a store to help you transform any light into a nightlight. A misplaced chair can trip you over at night when you are carrying the baby back and forth. Because of this reason, you will need to have lots of storage space where you can keep things that you are not using instead of leaving them scattered on the floor. You can never have enough storage space when it comes to kids. Baby bibs, blankets do take a lot more space than you think and all that will soon be followed with toys. You can purchase canvas bags, hanging baskets and dresser drawers to counteract this where you can easily store the baby’s stuff, plus making it portable around the home. Great tips Sarah, I remember finding it all quite overwhelming when we were decorating the nursery. I knew I didn’t want to go with ‘blue’ or ‘pink’ but there was just so much to choose from. I think I would do it very differently these days. Such a great article, we love grey actually as you can use another colour with it and then change this as the child grows. This is a beautiful room. I wish ours stayed that tidy!